**Certified Refurbished Linksys Range Extender from walmart. Price: $17.95. Discount: $62.04. Categories: Broadband, Wi-Fi, Range Extender. Deal Rating: 5 Stars out of 5. Store Rating: 5 Stars out of 5. Deal Recommendation: Recommended. Available Until: Limited Quantity. 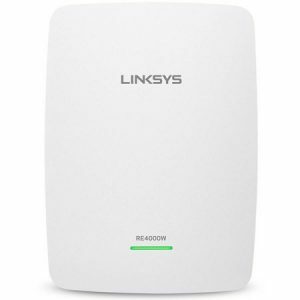 Thoughts: Clearance – Certified Refurbished Linksys Range Extender. Deal Score: 95 out of 100. This entry was posted in Hotspot, Routers and tagged broadband, Extender, Range, Wi-Fi. Bookmark the permalink.